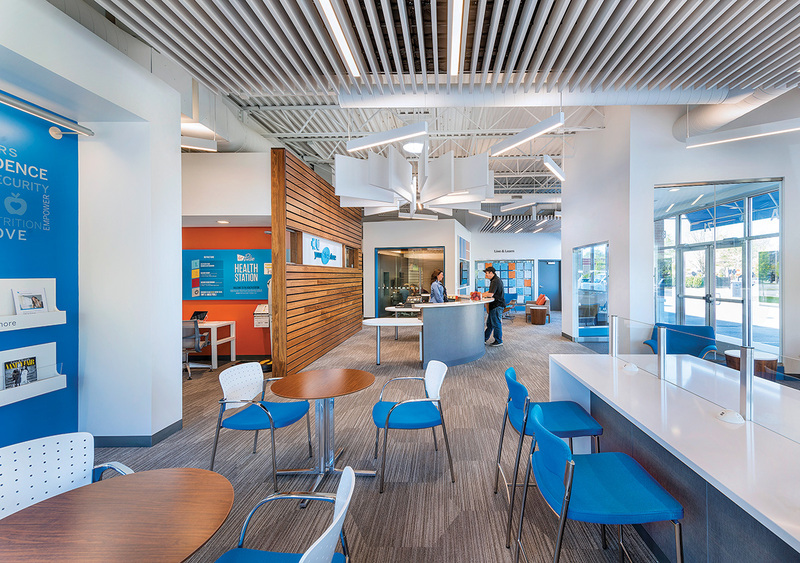 When Blue Cross Blue Shield of Rhode Island contacted designer Kelly Taylor and Kite Architects to collaborate on a service retail space, what they were really looking for was a fresh start after completing two similar locations that didn’t work for their needs. The team jumped in feet first, researching the company, its culture and the member needs the store would be servicing. The resulting layout makes some major deviations from the original plan — and even how the store operates — by incorporating a centralized work zone, a variety of meeting spaces, plenty of lighting, a fitness room and lounges. Rather than a simple aesthetic fix, Taylor and Kite put their heads together and used their creative skills to solve a problem and, ultimately, make for a better-functioning business. If that’s not design of the highest order, we don’t know what is. © 2019 E W Burman Inc.